I have decided to teach some Keats as well. I added a selection of his poems to one of my syllabuses. I am not sure why Keats. I mean, I like him, and surely enough his poems fit into the theme I built for the class, but so do many others. I was sitting at my desk today, reworking my lesson plan, and I thought of Keats’ poem, “The Eve of St. Agnes.” If you care to read it, you can find it on Bartleby here. It is not the only poem of his I will be using. Of course I will go over most of the Odes, and a couple of others (“To Autumn” is one of my favorites), but this one attracted me. I haven’t read it in many years, but from the pieces I did remember it vaguely reminded me of a poem I looked at several months ago from my childhood by M. Eminescu, who happened to be Keats’ contemporary. Rereading Keats’ poem I can see why I had that thought. The poem works well with the supernatural theme of the course, and in many ways it is concerned with defining truth from different perspectives (which should really tell you something about the concept of truth). The poem itself is simple enough, drawing on several previous works and myths. The story progresses slowly, and all 42 stanzas are dedicated to a plot that could not have lasted more than a few hours at most. Yet the way it is written is what makes it so beautiful. The languid movement of plot is essential for taking in every detail. The poem, with its sensual undertones extends into every word. Keats is known for relying on the senses in his descriptions, and here, he relies on sight. Overtly the poem is eroticized through Porphyro’s actions; he sneaks into Madeline’s room, hides in her closet, and watches her undress for bed. Nevertheless, this scene is actually only moderately visual (Keats was asked to censure his original version for publication), and the truly magnificent details are saved for all of the minutia that surrounds Porphyro as he makes his way to the bed chamber, exits the closet, and even as he makes his way around the room while Madeline sleeps. The exotic fruit he sets out on tables around her sleeping frame are far more detailed and colorful than the pale sleeping form (the fruit sounds absolutely delicious in its prime of ripeness, candied and probably fantastic). The chandelier, cobwebs, and even window sill are described in meticulous detail. The poem is transformed into a painting, and the reader sees Porphyro stand still, setting the table for fruit, the unmoving Madeline in “azure-lidded sleep,” and the central piece to this tableau, the stained glass window above Madeline, in colors almost indescribable, yet Keats paints it in words nonetheless. There are also the parts of the poem the reader doesn’t see. These don’t rely on the senses, and aren’t overtly explained. Yes, this is a very pretty poem, but it also has meaning, interrogating the difference between what is right and wrong. Porphyro is able to make his way into the castle and stealthily hide in Madeline’s closet with the assistance of her maid, Angela. Does Angela not realize what she is doing, or does she not think it is wrong. And is it wrong? Yes, he is sneaking around in her closet while she is getting undressed, but wasn’t the whole point of her doing this so that she may dream of him on St. Agnes’s Eve? Yes, she was expecting a dream as opposed to his real presence, and that contrast is bolded through her reaction in finding him – his real self appears dead in stark comparison to the fantastical dream she is having – but she does not protest or object to his appearance. If anything is questionable in this poem it is not anyone’s morality. Frankly I am more puzzled by the fruit than anything else. I am unable to discern the reason for the fruit, or why Keats choses to dedicate entire stanzas to their decadent description (aside from bringing me a maddening craving for plums and candied apples all day). Of course I understand the sensuousness and eroticism in the way which the foods are presented, but it still makes little sense. Is he planning a picnic? He even brought his own tablecloth. The poem ends as it begins, in the cold, but with a difference. While the start is cold and brooding, contrasting the revelers inside the warm castle with the Beadsman and Angela, who for one reason or another refuse to partake in the affair, the cold that ends the poem is merely a shadow of what was; Madeline and Porphyro leave to be wed in the moors, and as the Beadsmand and Angela lay dead and the party ends, it seems irrelevant. Plenty of critics believe the poem is laden with betrayal. Madeline betrays her parents’ wishes and runs off with Porphyro (who they despise for reasons untold), Angela and Porphyro betray Madeline’s trust by sneaking into her room, and Angela betrays the household. I feel only the last of these is true. Angela betrays her employers by leading their enemy inside. 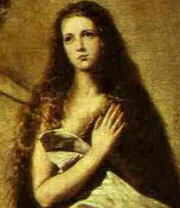 Yet, the myth of St. Agnes’ Eve must be taken into account. The maiden, Madeline, fasts through dinner and goes to bed undressed, with her hands behind her pillow, for the sole purpose of hoping to dream of her future husband, and to see him appear before her. She confides in Angela how she dearly hopes it is Porphyro. She follows the instructions, and sure enough he is there. So what is the problem? No one argues that they do run off together. Where is the betrayal? Frankly I think this is a matter of logistics. So she got him in the flesh as opposed to merely a dream, but the dream was supposed to profess the future. She had the dream, dreamt of him, woke up, he was there, and they got married. Sounds like a prophecy to me. Moral of the poem? Morals are subject to interpretation.